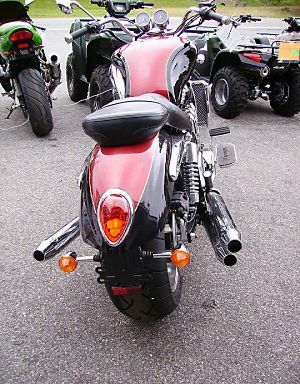 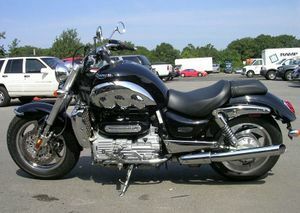 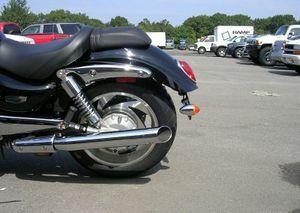 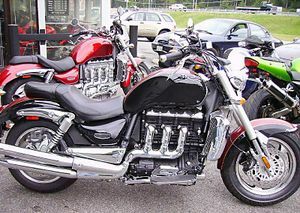 The Triumph Rocket III is a motorcycle produced by Triumph from 2004 to 2007. 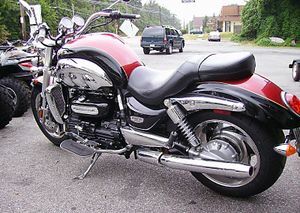 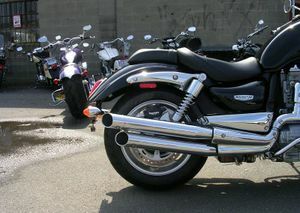 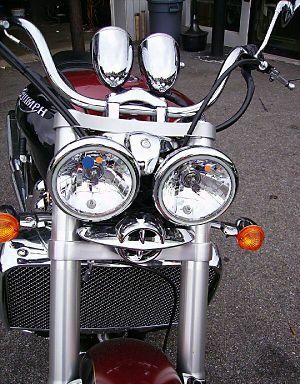 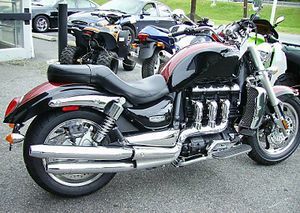 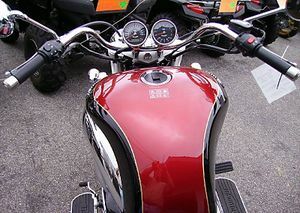 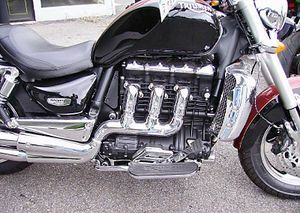 The Triumph Rocket III is a British motorcycle made by the Hinckley Triumph factory and has the largest displacement engine of any mass production motorcycle in the world (as of September 2008[update]), at 2,294 cc (140.0 cu in). 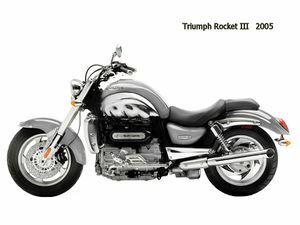 The shaft driven Rocket III produces 200 N·m (150 ft·lbf) @ 2,500 rpm and 140 bhp (100 kW) @ 6,000 rpm. 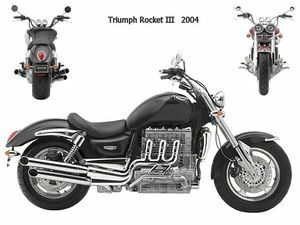 Despite its size and weight of 704 lb (319 kg) dry, it is described as having good balance and "light and easy steering" even at low speeds.